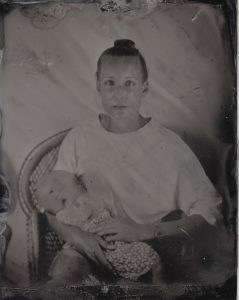 In the 19th century as photography gained popularity as a medium and studios were being opened all over, early photographers were faced with the challenge of how to keep a small child still for the duration of the exposure. 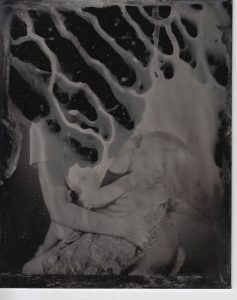 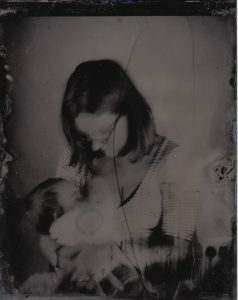 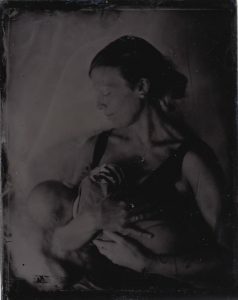 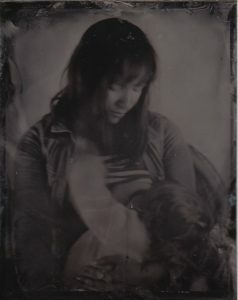 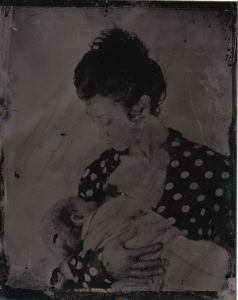 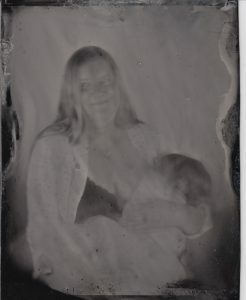 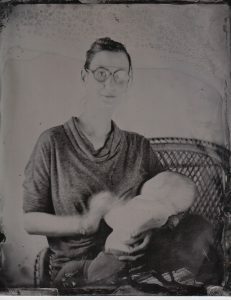 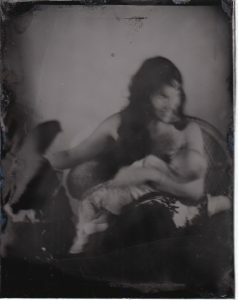 Some photographers used the unsubtle technique of hiding the mother, perhaps under a sheet or behind a curtain, to hold the child still. 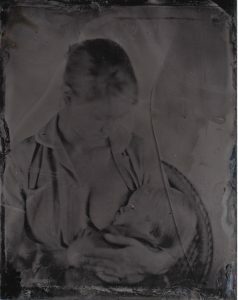 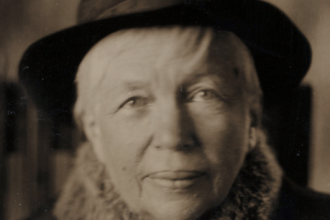 These images have become known as “Hidden Mothers”. 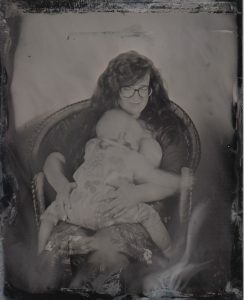 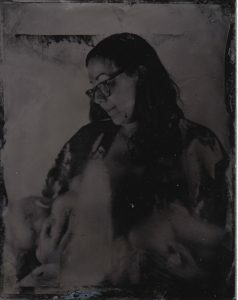 I have recreated a series of Hidden Mother Portraits, however this time, rather than being ‘hidden’ I boldly expose these mothers and their experiences of being mothers. 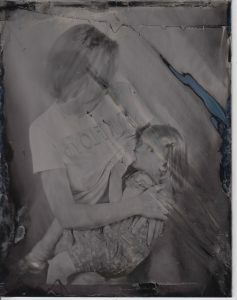 The ‘hidden’ aspect becomes the remnants of how society stereotypes these women. 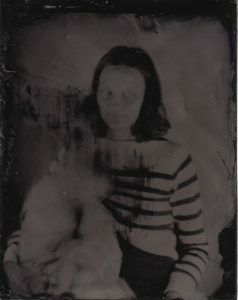 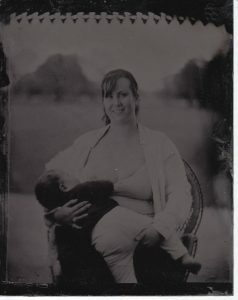 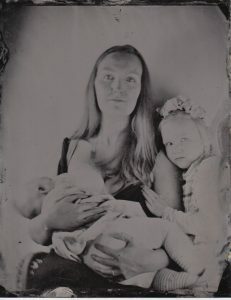 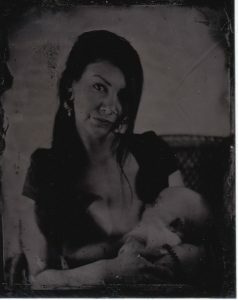 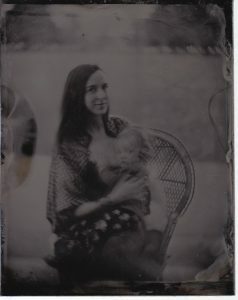 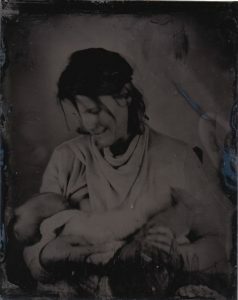 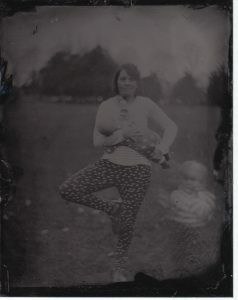 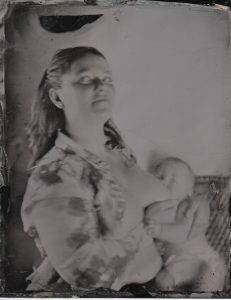 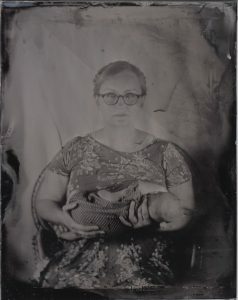 Wet plate collodion photographs on Aluminium plates. 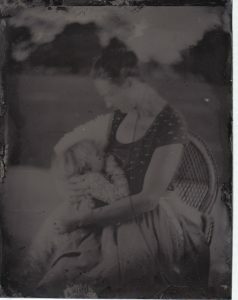 Ferrotypes; produced using a Large Format Little John Process Camera.